MotherhoodLater.com - World’s leading newsletter, website and community for midlife moms: Cyma Shapiro Chats with Dr. Kalyani Gopal, author, "The Supportive Foster Parent: Be There For Me"
Cyma Shapiro Chats with Dr. Kalyani Gopal, author, "The Supportive Foster Parent: Be There For Me"
FACT: There are nearly 700,000 children in the foster care system. At any given time, 200,000 get to go back home. 408,000 remain with their foster families. FACT: 40% of American children have insecure attachment. This rate doubles for children in foster care. FACT: Failures in foster care are sometimes due to lack of knowledge and skills. FACT: Approximately 80% of those incarcerated have been in the foster care system. Q: Dr. Gopal, your book seems to have struck an important chord in people, and filled an important need. What led you to write this book? Thanks Cyma! Every day I see four to five new foster families and each day I seem to be repeating myself over and over again about the pitfalls and joys of foster parenting, the unique coping mechanisms and how to bond with someone else’s child. It dawned on me finally, that there was a dearth of adequate information about the nuts and bolts of foster parenting for new and current foster parents including those who are experienced foster parents. I felt in order to improve the lives of our foster children and prevent destabilization of good homes; we need to educate our foster parents, child care advocates, and administrators. Q: Your book provides a myriad of factual tips for approaching this journey from many different angles. It appears as if this is an objective, nonemotional approach to a very emotional and often trying experience. Did you intend to write this in this manner? Yes. Most foster parents are overwhelmed with the day to day drama and emotional issues these children present for no fault of their own. Foster parents usually do not have any time to read a book peaceably. So, this was written in a simple, factual, straightforward manner with the intent to address a myriad of issues in a plain speaking matter of fact approach. I have written the book the way I speak to foster parents every day! They appreciate the honesty and lack of bells and whistles to the issues of foster parenting. Q: What one fact continuously strikes you when working with this group? That foster parents do everything they can to bond with their foster child, but they do not realize that the child is going to resist the bonding because of the primary alliance with their biological parent. They take this rejection very personally and as a result feel unappreciated. Q: What little known fact do you wish to inform/educate the public about? A foster child is not just any child – she/he is very special in terms how they live their lives. Each night they go to bed not knowing if they will be returning to the same home after school the next day. Foster kids are picked up from school and transported to a brand new foster home with no warning or preparation. These anxieties are deep and the average child or family does not share this daily trauma. Q: You place much emphasis on the impact and parenting skills of the parent. However, many parents, themselves, have hidden wounds that often emerge after parenting (esp. a difficult child) begins. What can you say to this group? What a fabulous question. It was this very issue that kept me burning the midnight oil when I wrote this book. I have had foster moms break down and literally weep when a child says innocently that she/he is scared of their foster mother. They are devastated as they were either from abusive homes themselves and have opened their hearts and homes to this child. That is why I state at the very onset of the book that even if you open your home to welcome a child, that child does not want to be in your home. The attitudes towards their own biological mother and/or father are transferred to the foster parent, all of it and if the child was beaten and abused by their mother, they will be scared of their foster mother doing the same. Q: Many new older mothers cannot successfully conceive, and are therefore looking into adopting or fostering children. What advice can you offer this group? Definitely adopt a child. These foster kids are amazingly beautiful, once you have their trust. They are more loving, caring, and empathic than even a biological child can be due to their deep sense of gratitude. If they act out, it is only because of the unfairness of their lives, the sense of not worthy of being loved. So, certainly adopt and foster and shower them with love the way they can handle it not necessarily the way you wish to show it. The rewards are immense. Foster parents often are described as ordinary people doing extraordinary things. Be the extraordinary parent by fostering or adopting. Q: In writing this book, what one overriding theme do you wish to convey? Children who enter the foster care experience multiple changes in placement due to lack of knowledge on the part of foster parents with regard to how to parent these children. They cannot be parented the way we parent our biological children. So no matter how successful parents have been with their biological children, they can set themselves up for failure with foster children and fall first into confusion and then depression. This causes many family problems. This should not be happening. 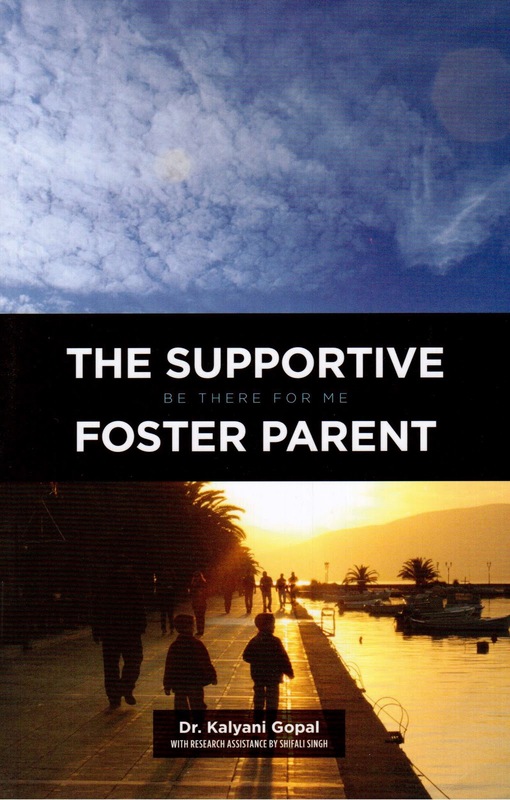 Foster parents armed with the knowledge in this book and others such as this one, should have all that they need to achieve success in foster parenting. Knowledge of what to expect and how to handle crisis situations is power, and I wanted to EMPOWER all foster/adoptive parents. Thank you for your time. I intend to purchase this book for my dear, single 54-year-old-friend, who intends to become a foster mother for the very first time. She will appreciate this!